The following document is the minutes of the Council meeting held on 30 January 2014. These minutes are subject to confirmation as to their accuracy at the next meeting to be held on 13 February 2014 and therefore subject to change. Please refer to the minutes of 13 February 2014 for confirmation. The NSW Legislative Council has established a Select Committee to inquire into Social, Public and Affordable Housing. NSW faces significant challenges ensuring that people have access to appropriate and affordable housing, nowhere more so than in the Nambucca Valley. One of the items listed in the Inquiry’s terms of reference is “the role of residential parks”. 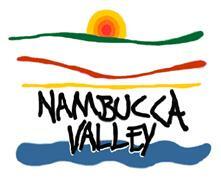 The Nambucca Shire has one of the highest proportions of population living in residential parks of anywhere in NSW. Whilst residential parks provide affordable and for the most part quality housing, they place a significant burden on Council in terms of infrastructure and service provision that is not recoverable because of the rating structure. One residential park can house hundreds of people who have the same needs for services such as libraries, swimming pools, parks, sporting fields and playgrounds, and the same access to our roads, bridges and footpaths etc as any private home owner. Altering the rating structure would only mean that park owners would pass on the costs to residents so the parks would no longer be “affordable housing”. However the proportion of population living in residential parks could and should be considered as a disability factor by the NSW Grants Commission when allocating funds to councils. This would encourage councils to provide more residential park zonings and ensure the continued, if not increased provision of affordable housing. The closing date for submissions is Friday 28 February 2014. Mr Jim Martin of 71 Sundowner Road, Bakers Creek, has requested that Council place flood height indicators on the causeway located 100m prior to his property. Mr Martin advises that in wet weather he is regularly called upon to assist motorists who have “come to grief” trying to cross the flooded causeway. In recent years there has been an increase in traffic on this road which Mr Martin attributes to a combination of more adventurous Grey Nomads and tourists and the increased use of GPS’s. Motorists try to circumvent Pacific Highway closures due to floodwater by travelling from the Macleay to Taylors Arm. Mr Martin also asked whether the causeway could be named as this would assist in identifying closure of the causeway in times of flood; and emergency services in locating anyone in difficulty. He suggested the name “Matilda” after his horse. Council’s community surveys have highlighted the importance to our community of our existing businesses and indicated that business development is an area where the community would like to see greater focus from Council. (This may be due to a low profile rather than a lack of activity on Council’s part). Council already allocates economic development funds for marketing and promotion of the valley, but the proposed allocation is to specifically target our existing businesses, celebrate their success and assist in their recognition, growth and development. Many existing businesses have the available market to expand but lack the expertise to take advantage of their situation. The funding could be used, for example to hold a business dinner and subsidise the cost of a good guest speaker with expertise in particular areas of business development. It is very difficult for the owner of a small business to find the time and the money to travel to Sydney to hear such speakers. Businesses may be able to suggest, through the Economic Directions Committee or the Chambers of Commerce, areas where support and information is needed. Some years ago Council’s Manger of Business Development organised a workshop in the Council Chambers to provide an explanation of new Workplace Health and Safety legislation and how it affected local businesses. This was well attended by local businesses and well received. The funding could also be used for profiling a number of successful businesses at an annual “gala” business dinner or awards night in categories such as export, expansion, new business and innovation. Money could be used to develop a professional profile of the selected businesses for marketing purposes eg a short DVD which could be used on the presentation night and given to the business for use as a marketing tool afterwards. If the Nambucca Valley needs to celebrate anything it should be business success and we do have some very successful and entrepreneurial business people. It would require financial sponsorship ie a budgetary allocation by Council but the publicity and economic development marketing opportunities should make it worthwhile. That Council budget an amount of $10,000 specifically for the purpose of recognising and/or supporting existing businesses within the Nambucca Valley, the expenditure of which is to be determined by the General Manager in consultation with the Manager of Business Development. Due to the relocation of the previous MEN’S SHED to Macksville , many of our senior residents who were deprived of such a facility, established their own Men’s Shed in the Nambucca Industrial estate by renting a shed in that area. The community support including Council in getting that shed equipped and providing funds for the rental over the last few years has been excellent. Copy of letter from Men’s Shed is attached. It is now becoming evident in Nambucca that much of our progress is due to Retiree Driven Development. More retirees are retiring early and getting out of city life for a more relaxed and fulfilling country lifestyle. We are lucky to have a proliferation of community groups to assist with this lifestyle such as U3A, Lions, Rotary, Probus, View etc, and a variety of sporting and cultural clubs. It is felt that the Men’s Shed in Nambucca should take the next step forward and become self-sufficient. The main concerns of the Men's Shed at the moment are meeting the rental commitments, the uncertainty of tenure and that they need more space in which to operate. What the Men’s Shed needs is a suitable piece of land be allotted to them to operate, expand and make them as far as practical "self-sufficient". As all may be aware, Nambucca Shire Council has spent a sizeable amount of funds on youth projects and development in our area. The amount spent on men's health issues has been little in comparison. This is an opportunity now for Council to assist a group of seniors who in turn are always open and willing to assist other seniors and our community. The Men's Shed is an important part of the community in that it offers a sense of belonging, camaraderie and fellowship. The Men's Shed is a social support service aimed at maintaining and expanding men's social networks, providing healthcare information, education and work related skills to encourage men to participate in projects that can benefit the whole community. · Assist men to overcome the anxieties they may experience with everyday life. The Nambucca Heads Men's Shed has Nambucca Heads community support from Nambucca Heads RSL Club Ltd, Nambucca Bowling Club Ltd, the Bananacoast Credit Union, NORTEC, Woolworths, Beaties Carpet and Paint, Wayne Flynn Electrical, Johnson Plumbing, plus numerous personal donations of tools and equipment, along with support from both the Federal and State Governments in the forms of some very generous grants for tools and equipment. Rent is the biggest overhead and takes away from the hard and dedicated work the men do in the way of making timber and metal products for sale and the hard work of members at fundraising activities such as "Woolies" sausage sizzles. The Shed pays rent to the sum of $100.00 per week ($5,200.00 per annum). The funds for the payment of the rent for the previous 12 months have come from generous donations from the Nambucca Community. The Shed also has the fundamental support of Nambucca Heads RSL Sub Branch, Nambucca Heads Chamber of Commerce, Nambucca Valley Naval and Mariners Association. The Members of the Shed do not want to see all this hard work and generosity in setting by closing the doors because we are unable to pay their rent. A large steel frame shed has been donated to the Men's Shed but is not yet available due to ongoing negotiations with the Roads and Maritime Services as the shed is on land to be resumed for the new highway. Informal discussions with the Hon Andrew Stoner MP have already taken place and he has indicated to the executive of the Men's Shed that he will support any application that is submitted regarding the dismantling and reassembly of this shed along with funding for the slab. The current shed sits on approximately 1000 m2' and is already overcrowded with storage containers, office and lunch room which are transportable buildings which were purchased as part of a State grant. It is requested that consideration be given to an allocation of 1,500m2 to accommodate the existing shed and its surrounds and also this would allow for future expansion. The Men's Shed members understand that this may be a prolonged process, and they have asked Council to consider this request with a degree of urgency so applications can be made to State and Federal agencies for funding of the new shed. Nambucca Shire Council first received representations from the Nambucca Men’s Shed in 2002 for assistance in relocating to new premises. Apparently no response was forthcoming. In early 2005 the shed was facing closure due to the lack of available funding. During this time a delegation of volunteers and the project officer approached the previous General Manager and Council staff with a view to acquiring somewhere to maintain the service. Apparently the Council staff at the time proposed the use of the “chook pavilion” at the Showground with the possibility of a longer term arrangement at a later date. However the Men’s Shed was successful in receiving HACC (home and community care) funding allowing it to continue at a reduced service level of 3 days per week and the “chook pavilion” was not required. August 2008 – Proposal to use land behind the Mary Boulton Museum for the construction of a Men’s Shed and kitchen. The kitchen was an initiative of the Nambucca Valley Community Services Council Inc. for the production of home delivered meals (meals on wheels). The location would also allow the Men’s Shed to provide assistance to the Museum in the restoration of furniture, farm equipment and tools for display at the Museum. The cost of providing sewerage to the site meant the kitchen could not proceed. It was later determined that the ground condition was unsuitable for septic tanks. May 2009 – Proposal to use land on the corner of the Pacific Highway and the northern link road to Nambucca Heads. Land has a significant slope and no services. June 2009 – Council’s Director Engineering Services indicates Men’s Shed will have to consider other sites. Inspection of site at Showground arranged. July 2009 – Showground Committee reject proposed location. Location of buildings would restrict the three major events being the Show, Pro-Ag and Rusty Iron Rally. August 2009 – Council’s Director Engineering Services suggests the Donnelly Welsh Fields as another possible site option. January 2010 – Plans prepared and a DA is submitted for a Men’s Shed at the northern end of the Donnelly Welsh Fields. March 2010 – Objections received to DA and following a meeting with Council’s planning staff the DA is withdrawn. March 2010 – Following withdrawal of the DA for Donnelly Welsh Fields, at the suggestion of Council staff, representatives of the Men’s Shed investigate a site at Farringdon Playing Fields. Discussions with Lands Council representatives concerning the cultural significance of the site and the proximity of adjoining housing lead to a conclusion the site is unsuitable. June 2010 – The Nambucca Men’s Shed receives $52,000 capital grant from the NSW Government’s Community Building Partnership Program for the construction of a new shed. The proposed shed is 15m x 22m. June 2010 – The Nambucca Men’s Shed requests that Council revisit land at the Showground as a possible site for the location of the shed. July 2010 – General Manager advises the Nambucca Men’s Shed that Council considered 3 sites in August 2009, being the Macksville Showground, Council’s Works Depot and the Donnelly Welsh Playing Fields and resolved that Donnelly Welsh Playing Fields was the preferred location. November 2010 – Men’s Shed representatives hold meeting with Showground Committee and obtain agreement to investigate a parcel of land in the north western corner of the Showground. November 2010 – Mayor and General Manager with Showground Committee representatives view suggested location in north western corner. Site would require the placement of a large amount of fill on the floodplain. Front of site also likely to conflict with Show activities. Site not considered suitable. December/January 2011 – Council staff negotiate with owners of CentraPark industrial subdivision in Macksville to acquire a serviced industrial lot (opposite Australia Pre-Cast Solutions) for the Nambucca Men’s Shed. Manager Business Development negotiates a very reasonable purchase price based on a charitable use. February 2011 – Council resolves to make a financial contribution to the Nambucca Men’s Shed of $40,000 towards the acquisition of the land in the Macksville Industrial Estate. Council also resolved to meet the costs of the development and construction certificate applications and Section 94 contribution for the railway overbridge as a further donation under Section 356 of the Local Government Act. Based on a building cost of $63,000 these further donations had a value of $2,890, meaning the total financial assistance from Council was $42,890. May 2012 – Occupation certificate for the new Nambucca Men’s Shed issued. If the following recommendation does not succeed then what is the use of calling a Senior Office Crown Lands Division in Grafton to come and address Council on this matter relating to their letter of 16 January 2014. That Council formally request Mr Clint and Mrs Kelli Leckie to withdraw their letter informing Council that they no longer want to proceed with the purchase of 290 square metres of Gordon Park. Advice has now been received (January 2014) from the Office of Water agreeing to the relaxation of flow rules subject to conditions. Letter circulated to Councillors. Response received from Dept of Transport and circulated to Councillors. Awaiting valuation of land and outcome of negations on consent conditions. Deferred to February 2014. Update as at 6 February 2014 - Ranger and Manager Information Technology refining template for website and newspaper advertising as well as operational arrangements eg, length of time animals are held, whether website is updated daily, animals unsuited to re-homing. The view of Council’s Ranger is that animals which are deemed unsuited to re-homing should not be part of the re-homing scheme. These constitute the large majority of animals euthanized at the pound and comprise animals with a vicious nature or with health risks . Update as at 6 February 2014 – as per comment on item 24. Raised at Traffic Committee meeting on 4/2/14 and RMS have advised Council that line marking will be implemented to delineate traffic flow. Council consider a monthly sampling program for 12 months from 2 sites – bottom of Sth Arm and North Arm at Broughy’s Bridge and near the old weir when considering the Environmental Levy program so as to establish base line data. Funding for the monthly sampling program should come from the water fund, not the environmental levy. MWS has been instructed to commence monthly sampling program as suggested. Any variation of cost be reported through quarterly budget review. Council invite Mr Hurcum & Mr Cameron from Crown Lands to attend Council to explain the proposal to sell a section of Gordon Park and the implications of their recommendations. Applicants have withdrawn their request to purchase the land. No further action to be taken. Nambucca Valley Landcare has offered to rent the vacant shop at the front of the Bowraville Theatre (previously a hairdresser) for six months rent free and then at $50.00 per week plus GST for the following six months. 1 That Council offering temporary office accommodation for Nambucca Valley Landcare and Mid North Coast Farm Foresters in the vacant Bowraville Theatre shop rent free for the first six months and then at $50 per week rent plus GST for the following six months including outgoings. 2 There be a review of these leasing terms and payments 3 months before the 12 month anniversary of the lease so that Council may make a decision in relation to entering into a new lease with Landcare or alternatively testing the market before the expiration of the lease and the shop potentially becoming vacant. Council can decide not to rent the premises to Nambucca Valley Landcare or to offer to rent the premises on different terms. If Council decides not to rent the premises to Landcare then it will need to seek, via advertising, a new tenant. In 2011, Council leased the small shop which is part of the front of the Theatre building to a hairdresser. The lease was for three years at $150.00 per week inclusive of GST being $7,800.00 per annum including GST. On the 6th December 2013 council received a letter from the lessee advising of their intent to terminate the lease and not renew. The lessee has apparently decided to relocate to a larger commercial floor space. The Theatre shop was vacated on Friday 17 January 2014. Council’s Manager Business Development has since been contacted by Mr Tim Ryan from Nambucca Valley Landcare and Mid North Coast Farm Foresters, with a request to seek council approval to take up the vacant shop front attached to the Bowraville Theatre. Council resolved on the 11 September 2013 to endorse the provision of temporary office accommodation for Nambucca Valley Landcare and Mid North Coast farm Foresters for a period of six months only. Mr Ryan has explained that Landcare no longer has the income to support paying commercial rent of $150.00 per week and has requested a 6 month rent free period as per council resolution to support Landcare and, then $50.00 per week plus GST rent for the ensuing six months with the tenant paying 100% of the electricity and 10% of rates with the floor space being 1/10th of the overall building. This offer will return to council $1,375.00 inclusive of GST for the second six month period. The Manager Business Development and General Manager have discussed the request from Landcare. It is noted that Bowraville has a number of vacant shops and further that it’s Landcare’s desired base for operations in the Nambucca Valley. The Manager Business Development has also discussed the possible Landcare tenancy with the Bowraville Theatre Committee of Management representative Mrs Dale Hawkins who has indicated agreement in principle to leasing the premises to Landcare to sustain the service within the town. Landcare arguably makes the greatest contribution to improving the quality of our environment of any government or non-government organisation. Its continued operations in the Nambucca Valley is therefore very important to meeting the Council’s overall vision of ensuring we have, “living at its best”. The activities undertaken by Landcare assist with social wellbeing and employment. Landcare makes a positive economic contribution to our community by attracting grants to employ local skilled and semi-skilled labour. There will be risks in trying the rent the premises. There are also risks if Landcare can no longer in commercial premises. Its accessibility will be diminished and potentially its role in our environment and community. The proposed rental return will be $6,425 per annum less than what Council has achieved over the past 3 years. There will be an impact on working funds as the loss of rental income has not been budgeted for. There are no changes to service levels. The Crown Lands office is requiring Council to account for all income from the use of Crown Land and only apply that income to expenditure on Crown Land for which Council has care, control and management of. The Crown are withholding the transfer of $33,000 of rental income from the Headland Caravan Park pending the creation of an internally restricted reserve. There are no real options. If Council wishes to receive the outstanding rent monies from the Headland Caravan Park then it must establish the internally restricted reserve. As trust manager, Council has the care and control of a number of Crown reserves. In 2010 Crown Lands approached council with the intension of taking back care and control of the Headland Reserve Trust Caravan Park which at the time was leased to the company Kelvest Pty Ltd. This lease ran until 2016 with payments of $10,000 per annum plus GST. As part of the negotiations for the transfer of management from Council to Crown land it was agreed that council would continue to receive the full rent amount until the termination of the existing lease in 2016. The transfer was completed and Crown Lands terminated Kelvest’s lease for breach of lease conditions. The North Coast Holiday Parks (Crown Lands) then took over the operations of the Headland reserve trust / caravan park. Three years have passed and council has not received the committed funding which now stands at $33,000 inclusive of GST. Crown Lands have insisted that the revenue be applied to other crown land for which Council has care and control of. After several conversations with the Crown lands over this period it has been agreed that Council implement an internally restricted reserve to contain this revenue and to allow Council to account for its expenditure on other Crown Land. It has been suggested to Crown Lands that an internally restricted reserve would allow the funds allocated being used towards upgrading ageing infrastructure and, as $ for $ or financial contributions towards future grant funding eg, if the Stuart Island reserve required a financial contribution from council to be matched with other grant funding the funds in the internally restricted reserve would be used as the financial contribution towards gaining grant funding from the government funding agency. The funds gained from the lease payment now at $33,000 can be allocated for work on any of the identified reserves. There has been consultation with the Grafton Office of Crown Lands. There available funding will allow work to be undertaken to enhance the environment of Crown Land. The proposed work to provide riparian vegetation and restrict vehicular use of Stuart Island is a good example. The expenditure of the Reserve funds will enhance lifestyle and social wellbeing. The expenditure of the Reserve funds will complement Council’s activities in attracting tourism. There are no significant risks. If Council does not support the internally restricted reserve the identifiable risk is that the Nambucca Valley will not get the benefit of $33,000 in rent which has been taken from the Headland Caravan Park. The funding will assist in attracting $ for $ grants. Council has $33,000 owing from the Headland Caravan Park. At the date of preparing the business paper Council had received 60 written submissions in response to the mail out to all ratepayers of the proposed special rate variation. A further 19 telephone responses had been received by the General Manager. A summary of the submissions and telephone responses are attached. As they contain personal details, the full text of the written submissions as at the date of preparing the business paper is provided in a confidential attachment. The closing date for submissions is 14 February so the summary attachment and the full list of submissions will be updated for the proposed special meeting on Thursday 20 February 2014. This meeting will finally determine the application for a rate increase (if any) to be put to IPART. The written responses to the mail out indicate that of the 65 submissions received as at 5 February, there are 35 objections, 19 in full support, 3 in partial support and 8 where no position is indicated. The telephone responses to the mail out indicate that of the 19 calls received to 4 February, there were 13 objections, 5 in support and 1 neither in support or objecting. In overall terms, as at 4 February 2014 opposition to the proposed rate increase as expressed in submissions responding to the mail out was running at about 57% compared to 43% who either support it in full or in part or who have no opinion. IPART have also been consulted in relation to a possible change to Council’s application. IPART have indicated it is open to Council to change their application but suggested that this be flagged in a media release. Seeking details of specific rate increase. All BSU members have relocated to a central position in the administration building, procedures have been amended where needed to accommodate the change in location. The BSU now has a full complement of staff. The BSU Coordinator and records assistant have been appointed. Cross training BSU members has commenced. This is so leave and peak workloads can be accommodated. The phone system has been programed to provide an opt in call centre for the BSU team members. This replaces a dedicated position responsible for the telephone switch board. The formation of the BSU has reduced Council’s staff number by 1 Fulltime employee, an operational saving of approximately $60,000. All arrangements are functional without a substantial drop in service levels to external or internal customers. With these structural changes in place the team can now pursue improvements in service levels and efficiency gains. This report is for information and no options are presented. This report follows a previous update in August 2013. Supporting the smooth operation of the democratic process of local government. Ensuring the smooth delivery of business papers, minutes and supporting Councillors and the General Manager with other local government processes. Corporate support for professional officers across the organisation. Providing a central hub for administrative support for officers in technical and professional roles. In the last 6 month the structural changes necessary to establish the BSU have occurred. Some details have been hotly debated and at times the process has been challenging for some indivuals and the organisation as a whole. Staff have been fully engaged in the process and have worked together to resolve issues. Matt Harper - has been relieving in various positions. Benefits from the creation of the BSU will be incremental. The creation of the BSU substantially predated moving the members to central location in the office. It was a prime objective of the relocation to maintain the level of service to both the internal and external customers. Although some processes have needed to be modified this has been substantially achieved. Some initial concerns were raised by both Engineering and Planning Sections that relocation of their support staff had had some detrimental effects to work flows and smooth operations. While some concerns remain most have been addressed by changes in procedures to the extent the current arrangement is functional. BSU team members all brought key competencies from their previous roles, and their current responsibilities are focused around these areas of expertise. For example Heather Leclercq continues to support the engineering section. There has been a process of negotiation over the division of duties between those corporate support officers transferring to the BSU and the technical support officers remaining in discrete service delivery teams. This has been a healthy part of accommodating change and colleagues continue to support one another across the organisation without reference to artificial barriers. The removal of a dedicated telephone switch operator has at times decreased services levels to external customers. On rare occasions calls to the central Council enquiries number have reverted to message bank. There have also been some technical mishaps while reprogramming the phone system that have resulted in unanswered or missed calls. Several solutions have been tried for this. The rostering of BSU members to cover the switch stretch the team and could not always be achieved without compromising other areas of service delivery. The current solution is to utilise the “call centre” functionality of the telephone system where BSU members log into the call centre when they are at their desk and available to take calls. This can be disruptive but it is the best solution to date. One casual staff member is currently being used to cover for unplanned (sick and carers) plan leave of 3 BSU officers. · Cross training BSU members so leave and peak workloads can be accommodated. · Refining systems and processes by moving to electronic record keeping (particularly in the health and planning area) and identifying and removing duplication. There are no significant implications for the economic wellbeing of the Shire. Operational risks associated with the change of organisational structure. The cost of the implementation has been in line with budget forecasts. There has been a small expense incurred repositioning data points, phones, power and partitions, the existing furniture has been utilised. There are plans to modify or replace several desks that are not a good fit, but this has been delayed until the group is satisfied the office layout is effective and no changes are required. There is now a full complement of staff and total hours reduced by 2 hours a week. The reduction is as a result of reorganisation of days each particular BSU member is working. The cost of the move was accommodated in the building operations and maintenance budget. Resourcing has proceeded to plan. Services levels have substantively been maintained. Improvements in service levels and efficiencies should be achieved as the potential of the BSU is realised. Below is a list of Development Applications and Complying Development Applications received in January 2014. The attached report, produced from Council’s computer system, Authority, is for the information of councillors with regard to approved Construction and Complying Development Certificates for the month of January 2014. 2 affected properties in process of being purchased and noise agreements being catered into with others. EPA approves. Awaiting final confirmation. The following is the Council Ranger’s Report for January 2014. That the report from Council Ranger for January 2014 be received and noted by Council. Estimated Accrual interest up to 30.6.14 is $593,137.17. Anticipated interest return for financial year is $1,683,842.51. This report details all the investments placed during January and Council funds invested as at 31 January 2014. This report details all the investments placed during January 2014 and Council funds invested as at January 2014. A review of budgeted interest returns for 2013/2014 has been completed with the December 2013 Budget Review and GPG Research & Advisory have provided Council with the updated interest rates. Interest on investments have been assessed with the December 2013 Budget Review. Variances have been distributed between the Water, Sewerage and General Funds for the first half of the financial year. Council has received a request from the Lions Club of Macksville who has been the Committee of Management for Welsh Park to be relinquished from the management of Welsh Park. A copy of their request is attached. Further, the Lions Club of Macksville have indicated that the management responsibility for Welsh Park can be taken on by the Talarm Hall Committee of Management who has indicated same. The Lions Club of Macksville has indicated that it is unable to fulfil the role as per the Section 355 Committee of Management due to aging membership and health of the members. Further, the Lions Club of Macksville has indicated that, with Council’s consent, the management responsibility for Welsh Park can be taken on by the Talarm Hall Committee of Management who has indicated same. The report acknowledges the Minutes of the Annual General Meeting of the Utungun Community Centre’s Committee of Management and the new Committee for 12 November 2013. A copy of the Minutes including the financial statement is attached. The Annual General Meeting of the Utungun Community Centre was held on 12 November 2013. Present: Vanessa Bekis, Michael Green, Gwen and Mike Green, Paul and Gail Schadel, Maree McDonald, Sharon Johnston, Mavis Ward, Maude Ward, Joy Lane, Ingrid Sommerville, Barry and Janine Reed, john and Libby Cumberland, Keith Ward, Ray Hill. Apologies: Peter and Libby Ussher, Maureen Ward, Dixie Erlandsen. Moved by Janine Reed as correct –distributed. Seconded by Gwen Green. Carried. Chairman’s report: Read by Janine Reed in Libby Ussher’s absence. Moved by Janine Reed as correct. Seconded by Maude Ward. Carried. Vanessa Bekis declared all positions vacant. Treasurer: left in abeyance until Doug Urquhart can be contacted. Catering Committee: Gwen Green, Sharon Johnston, Ray Hill and Dulcie Johnson. Subscriptions: Janine Reed moved that Membership fees be kept at $5 per person and $10 per family and to be review at 2014 AGM. Seconded by: Mavis ward. Carried. Hall Usage: Janine Reed moved that hall fees remain the same as this year. Seconded by: Vanessa Bekis. Carried.